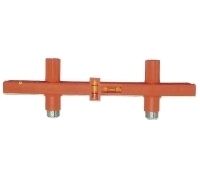 Heating tools are accessories which are very important for the welding of pipes and fittings in PE, PP, PVDF and PVC of diameter 20 to 110. Manufactured with the most modern methods of machining and high quality materials, the heating tools are superficially coated with Teflon to prevent sticking of molten material. 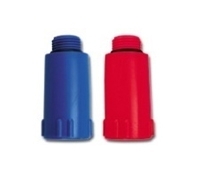 They are supplied in pairs (male-female) with a special screw for locking them on the welding machines and also the male tool has in its central part a threaded steel insert to increase the resistance of the thread. 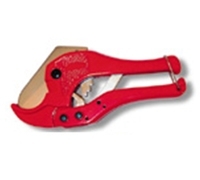 Necessary tool for the manual cutting of pipes in PP-R up to PN25 and PE, PB and PVDF. The cutters are equipped with a special device called a “double crick” that allows to cut also elastic pipes.